When the dealer who fits your tractor tyres calls to ask if you’ve moved your business elsewhere, you’ll know that they’re lasting longer than expected. According to Michelin that is what happened at Moundsmere Farming Company, a large-scale UK farming enterprise based in Basingstoke, according to a statement issued by Michelin. It says after equipping its John Deere 8295R with a set of their AxioBib IF600/70 R30 and IF650/85 R38 tyres, Moundsmere found they lasted 1,500 hours longer than other brands they had used. Better still, they found that they had radically reduced their tyre repair bill after the AxioBibs clocked up 4,100 hours without a single puncture. 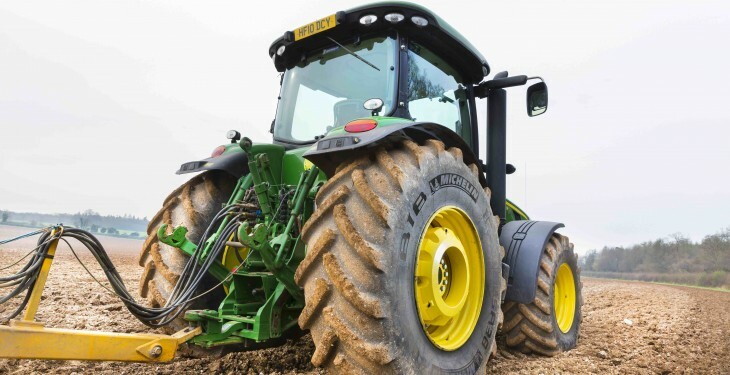 Michelin claims AxioBib tyres, which have a 16 per cent bigger footprint than conventional tyres, are designed for demanding operations such as ploughing where higher-horsepower machines are needed to work fields faster. 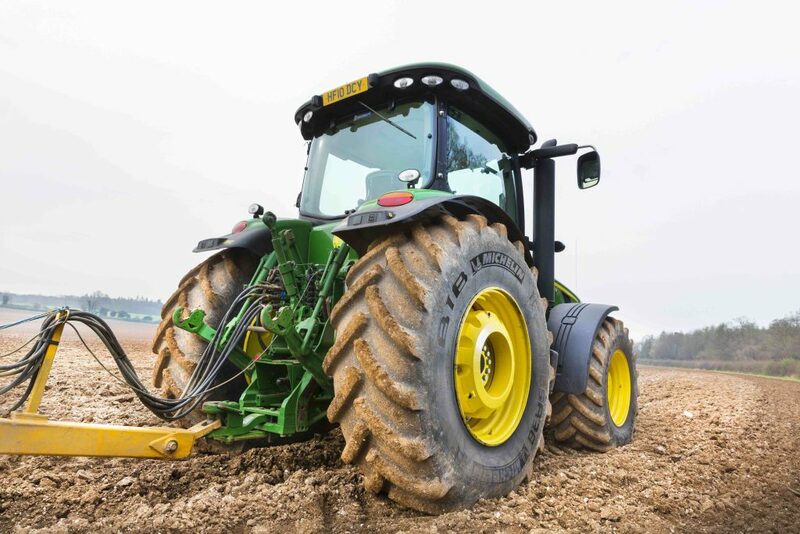 And the story doesn’t end there…after the tyres had been removed, they were passed on to a Scottish farmer to use on a smaller John Deere as the remaining tread depth was more than sufficient for running on roads, it added.